Norco Group, a specialist in battery-backed AC and DC UPS systems, has started its operations in the UAE with the opening of its Abu Dhabi office. This permanent presence in the UAE has been made possible with the recruitment of Jun Chrysler L Perote. Providers of services and products to the secure power industry, Norco Group has already established a local partnership with Al Yaseah. 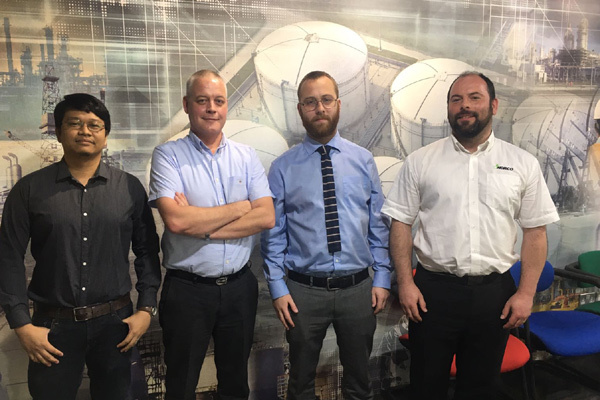 With support from the UK headquarters in Aberdeen, Perote has overall responsibility for day-to-day operations, providing back-up battery and UPS (Uninterruptible Power Supply) support to Al Yaseah, covering the UAE and the wider Middle East region. Perote has a Bachelor’s Degree in Electronic Engineering from the Polytechnic University of The Philippines, and a post-graduate Diploma in Power Electronics from Mapua Institute of Technology in Manila. He has more than a decade of experience working in the power industry, covering all aspects from hands-on fault-finding to project management and business development.